If you have a pocket wifi device If you’re concerned about the ever-growing threat of hackers or personal and business data theft, perhaps it’s time to buy antivirus software online before your privacy is invaded, your data stolen and sold to Chinese or Russian criminals. But searching for antivirus programs for your PC can be a difficult endeavour in itself; there are security applications for home, small office and large business; which is the appropriate choice for you? In order to make the right selection, it’s important to understand the computer security threats that Australian’s face every time they use the Internet. While varied, these threats are very real and typically fall into one of the categories listed below. Data and identity theft is an ever-growing problem for all Australians. In the past it was only of concern to large companies but with the increased use of social networking sites such as Facebook, data theft is now having a massive impact on every day Internet users. Once your computer is infected, hackers install keylogging software which allows them to break into your Facebook account so that they may harvest personal information such as your date of birth, work history, friends and family list, photos and video. In fact, hackers will copy everything from your Facebook page dating back to when you first opened your account. Facebook security settings cannot guard against this type of keylogging attack and hackers are using private information taken from your Facebook account to apply for loans, credit cards and generate fake ID to sell on the black market. If a hacker gains access to your Facebook account, they can cause irrevocable damage to not only your personal reputation but your credit score as well. Because of the social nature of Facebook, your account will fetch a high price to criminals which is why hackers now target them. Spyware is a type of small program designed solely to collect various types of private information on what you do on your computer. This includes what websites you visit, where you buy products online and how you make purchases. Spyware has become such a lucrative market for hackers and criminals that they now develop updated versions of their programs which are then uploaded to your computer in order to escape detection. If you don’t have the latest antivirus update, you will fall victim to spyware and won’t even know until it’s too late! Malware, which is short for malicious software, are programs designed to disrupt and hijack your computer for other uses than you had in mind. In fact, Russian and Chinese criminals have been known to specifically target Australian users as many antivirus programs developed by American software companies fail to detect viruses written for users in other countries. The hackers know that even if Australian users have a security software suite installed, it’s typically outdated, leaving the user vulnerable to spyware and malware the hackers have at their disposal. Once installed, the criminals begin using the infected computer to send out mass amounts of spam and will also use your computer as part of a bot army. Your PC will then be engaged in computer crimes such as denial of service attacks on other websites and other nefarious services too disgusting to discuss here. If you’ve ever noticed your computer running slow and your Internet usage going through the roof (leading to massive excess usage bills and depleted quota! ), it’s likely your computer has been infected by malware and is now a part of a criminal botnet. 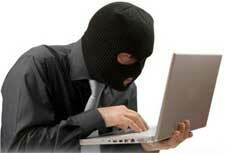 What’s worse is that many hackers are now offering malware under the guise of free antivirus software online! Your personal data has such high value to criminals that they have become very conniving; they’ll do anything to get their program installed on your computer including the development of fake antivirus programs that are distributed under the header of free. Thankfully, a simple solution is at hand. If you feel you need antivirus protection (and you do! ), it’s best to purchase a security program specifically designed to defeat the threats Australian Internet users face. Founded in 2004 , IObit is focusing on providing home users a great comprehensive system of utilities and security software for great PC performance and security . Their mai product Advanced SystemCare, IObit is used by millions of people around the world.